As a new casino on the market, established earlier this year in 2017, Play OJO claims to be your no-nonsense online gambling site. The operator believes in fair play, generous offers and complete transparency. It also promises you total control, no backhand bonuses and no shifty small print. So, does the casino live up to its word? We’re here to put it to the test. Play OJO is operated by SkillOnNet Ltd. and is licensed and regulated by the Malta Gaming Authority as well as by the UK Gambling Commission. When you come across the homepage, you’ll notice much less flashing lights and casino imagery than most of your standard online casinos. Instead, the site is clean, colourful and easy to navigate. OJO Casino goes to great lengths to guarantee that players’ personal and financial information remains secure and confidential. It uses industry-standard security protocols (128-bit SSL data encryption technology) to ensure that all transactions are fully protected. It’s a technology which protects your private information from being stolen. Furthermore, the casino’s RNG is independently tested by iTech Labs to ensure that their games are 100% fair and the outcome is entirely random. The casino also provides players with a repertoire of games from top software providers who wouldn’t associate themselves with a dodgy casino (see the next section below). The betting site’s games are all ready to be played right in your browser in instant play. Punters can also enjoy gaming on the go as Play OJO is optimised for mobile and tablet devices. It is compatible with all Mac and Android devices. However, not everyone has access to the casino. 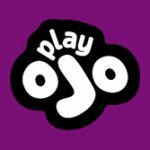 Players from Australia, Belgium, Cyprus, Denmark, France, Hungary, Israel, Italy, Mexico, Romania, Spain, Turkey and the United States aren’t permitted to play at OJO. 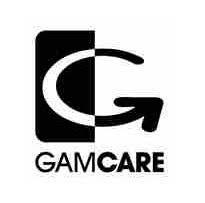 For further enquiries, friendly customer support agents can be reached via live chat, phone or email. They are available between 06:00 and 00:00 GMT. Punters can choose between over 500 handpicked games at Play OJO casino. The operator works with the world’s biggest and best software providers including NetEnt, Microgaming, AMAYA, Barcrest, NextGen Gaming, Merkur, Blueprint Gaming, WMS and SkillOnNet. The casino goes by the saying, ‘If OJO doesn’t have it, then it’s not worth having!’ It’s nice to see a casino that carefully chooses what games to offer. OJO focuses on quality rather than quantity. There are many video slots on offer at Play OJO, including popular games like Zeus God of Thunder, Rainbow Riches, Starburst, Great Wild Elk, Medusa, Immortal Romance, Montezuma, Emoti Coins, Gonzo’s Quest, Ninja Master, and Wish Upon a Jackpot. There is also a great collection of jackpot games with prizes reaching the million mark. Players love progressives like Mega Moolah slots, Mega Fortune, Mega Joker, Tunzamunni, Hall of Gods, Top Cat, Super Spinner, and Divine Fortune. You’ll find a not so large selection of the most popular table games like Blackjack, Roulette, Baccarat and Punto Banco together with several of their variations. There are also some Video Poker games like Jacks or Better, Deuces Wild and Joker Poker. The live casino is powered by Evolution, NetEnt Live and Extreme. Play OJO offers a broader selection of live casino games than standard online table games with fun and exciting titles like Immersive Roulette, Common Draw Blackjack, Casino Hold’em, Baccarat Live, and Super 6. There are various ways to deposit at Play OJO. The casino promises fast and safe deposits via credit/debit cards, e-wallets and other secure payment methods. Players should note that some payment options have deposit fees. Punters can deposit a minimum of £10 via Visa, Mastercard, PayPal, Skrill, Neteller, Paysafecard, EcoPayz, Maestro, Fast Bank Transfer, Direct eBanking, Instant Banking by Citadel, and Solo Switch. The minimum withdrawal amount is £20 using the very same payment methods. Payments may take anywhere up to five days to be processed into your real money account, depending on the payment option chosen. OJO’s welcome page differs to regular online casinos. If you sign up, you’ll receive a welcome play package of one free spin for every £1 you deposit (up to 50 free spins). For once, there isn’t a catch. That’s right, there are no wagering requirements and no hidden terms and conditions, as all winnings are paid in cash. On top of that, Play OJO Casino offers ‘kickers’ which are individual daily promotions that only last 24 hours and are specially handpicked for OJOers. This casino is really a lot of fun. The site also hosts Reel Spinoffs which are slots tournaments whereby gamers receive free spins on a selected slot. Any winnings will be converted into points on a leaderboard. If you reach the top, you’ll win cash. What makes this casino stand out from the rest is its OJOplus system which provides players with their money back on every bet they make – win or lose! There are no restrictions and the money you earn back is unlimited. Players can withdraw their winnings at any time too. The trick is, the more OJOplus icons a game has, the more it pays out. Punters can also get the VIP treatment with Club OJO, an invite-only club. A-listers will benefit from a dedicated account manager, faster withdrawals, higher withdrawal limits, exclusive kickers, increased betting limits, luxury gifts, elite competitions and super spins. Play OJO really is an impressive online casino. We love that their bonuses have no wagering requirements and their cashback system is truly unique and beneficial to players. On the other hand, we weren’t at all blown away by the betting site’s transaction fees and slow payouts which may take up to five days to be processed according to the payment method selected. We would also like to see a better selection of table games. Other than that, we love the concept, and we totally get what the people behind OJO are trying to achieve. It’s a thumbs-up from us!